It was supposed to be fun and a bonding experience, this Wii thing. It was 2007. T and I were in our first year of marriage, that blissful honeymoon period. We were also in the honeymoon period with our Nintendo Wii, the breakout gaming console that used players’ physical motions to control the game action. From the thrilling story of how we were able to get our hands on one to be on the “leading curve” of adopters, to the fun and surprisingly physical workout that was Wii Tennis and Raving Rabbits, our relationship with the Wii was with one of good cheer. We couldn’t stop sharing with our friends how fun it all was. 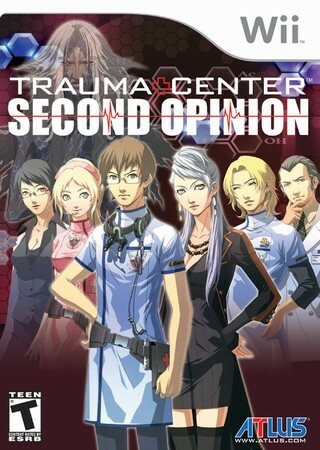 Then my brother told us about this game Trauma Center. Set in the future, you play the role of surgeons combating new and deadly diseases and cancers found in patients. In the first levels you play a young doctor still gaining confidence in his skills – thus giving you a chance to practice the game interaction of performing surgery. Incision, excising disease and tumours, monitoring the patient’s vital signs and taking appropriate actions, closing and suturing — it’s all there in the game.You only had a limited time to perform the operations. This was enhanced further by the discovery that your character has a special gift called “The Healing Touch”, enabling you to miraculously save patients who otherwise would have succumbed. We loved it. The thrill of living out our Asian parents’ underlying dreams of us becoming doctors, and saving these pretend patients, was addictive. My husband and I took turns being “Dr. Derek Stiles”, working through the game as one…mirroring our marriage vows. We progressed to higher levels where the illnesses got tougher, and the patients in more dire straits. The cancers would continue to multiply from existing tumours while you were operating if you didn’t finish excising all within a certain window. The patients would crash and die if you didn’t monitor vitals and provide boosts of IV fluids or antibiotics/medicines. The tension and stress level in our living room ratcheted higher, and the joking and semi-careless play stopped. I no longer recall what level/chapter it was, but we could not beat the thing. We took turns attempting to operate, but the cancers would replicate faster than we could finish excising. Or we would be so caught up in excising we neglected the vital signs and the patient crashed. We must have played the level at least 10 times each, on several different days. T was controlling at the time of the fateful incident. It was probably our 7th attempt that day. He formulated the plan of attack. “I need you to watch the vital signs for me. Then I can focus only on cutting out the tumours. OK?” OK! The screen turned red as the patient’s vital signs crashed, and died. His mouth was agape. I recoiled in horror realizing I neglected my post. Sheepishly I replied, “I’m sorry, I just got caught up, you were doing so well, I got excited…” My voice trailed off knowing I failed in my task. I felt so bad. But it’s only a video game, right? He went to bed upset that night, for the first time in our marriage. And while we soon were able to laugh at the incident, we didn’t turn on the Wii again for 3 years. Update: found an old post from T’s blog where he posts his initial reaction to these events.